Reassurance shield after the 322 split. 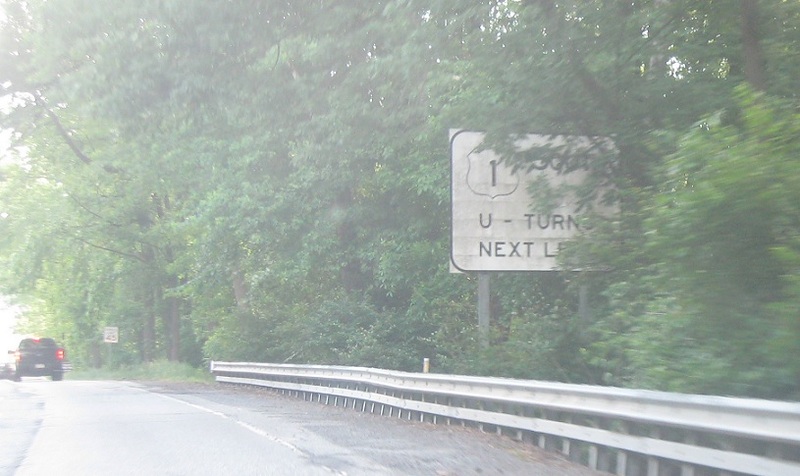 Just after that we’ll approach a u-turn opportunity to get back on 1 south. 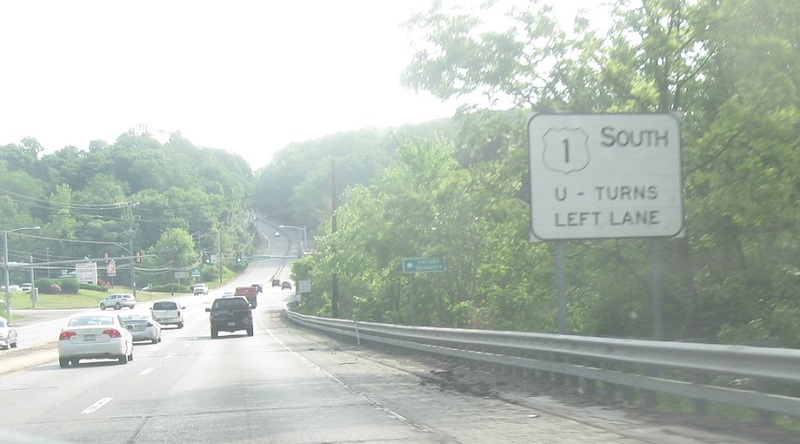 Turn left at the light to jug back around to 1 south. 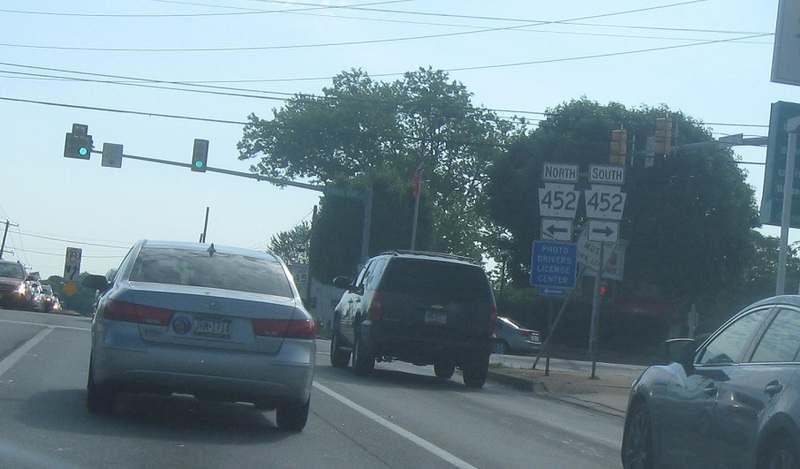 A couple miles later we’ll approach Route 452. 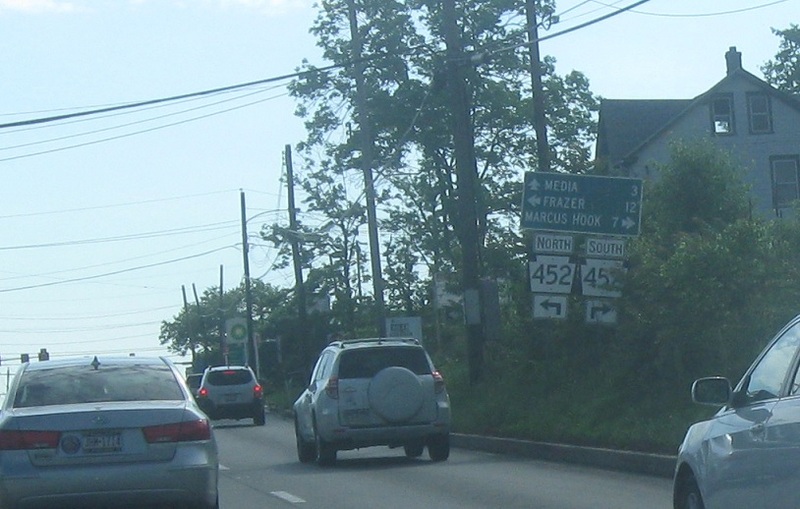 Follow 452 south to Marcus Hook and 452 north to Frazer. 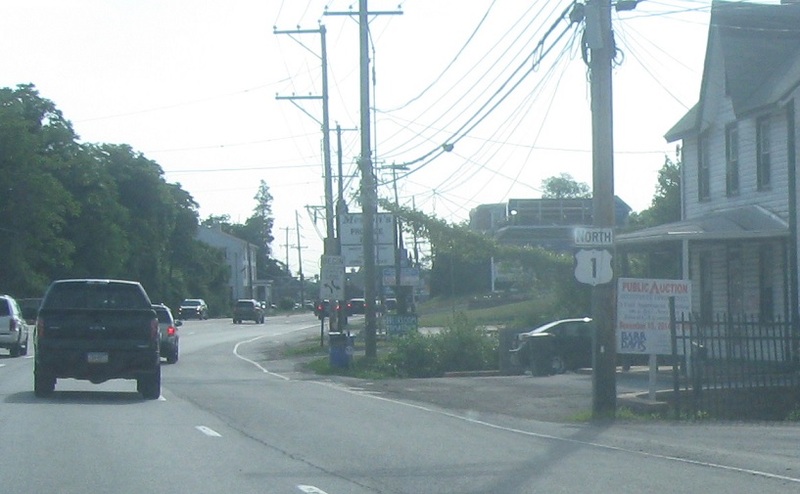 Stay on US 1 for Media. 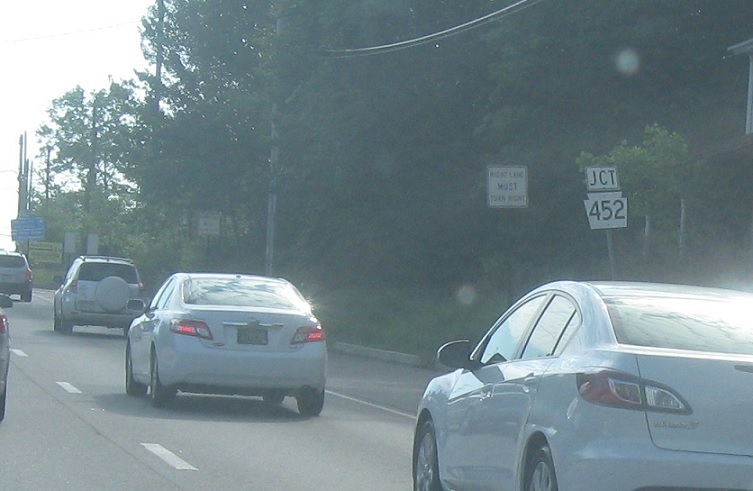 Turn right for 452 south and left for 452 north.